This past weekend was the 40th annual Richmond Greek Festival. Since we now live over 300 miles away, we weren't able to make it. Sighhh. Bummed about missing the authentic food and music I've experienced and appreciated the past 5 years, I decided I would bring a taste of Greece to our little Jersey home. Now I know Grecians love olives. Let me tell you, I've tried to like them but my taste buds just won't have it. Mike enjoys olives but not on pizza, so we didn't add them. Cue the olive branch dish towel. If olives are your thing, by all means top away! Oh yeah, one little tidbit: I'd be lying if I didn't tell you a Papa John's commercial inspired this one. Opa! Preheat oven to 475°F. Roll out your dough and set on a pizza stone. Poke with a fork. Place in the oven for 3 to 4 minutes. Remove from oven, leaving oven on. Carefully drizzle EVOO on dough as it will be hot. Add desired amounts of garlic, half of the mozzarella, oregano, basil, chicken, the remaining half of the mozzarella, pepperonis, feta, banana peppers and more oregano and basil. Place back in the oven for another 10-12 minutes, or until dough is golden and cheese is melted. Remove from oven and let sit for about 5 minutes before slicing. Enjoy! *A helpful tip: Make enough so you have leftovers for the next evening. All you need to do is reheat and devour. A perfect weeknight dinner option! Cut the chicken, onion and bell peppers into strips. In a small bowl, prepare the fajita seasoning: juice of half a lime, 1 tablespoon EVOO, chili powder, paprika, garlic powder, cumin, and salt and pepper. Mix thoroughly to combine. Toss the sliced chicken strips in the fajita seasoning, making sure to coat evenly. In a saucepan, heat EVOO over medium heat. Once pan is hot, add the coated chicken. Cook for 5-7 minutes, or until all of the pieces are cooked through. Remove chicken and add the sliced onions and bell peppers. Cook until onions are translucent. Add chicken back to the pan and combine with the cooked onions and peppers. Warm tortillas just prior to serving. 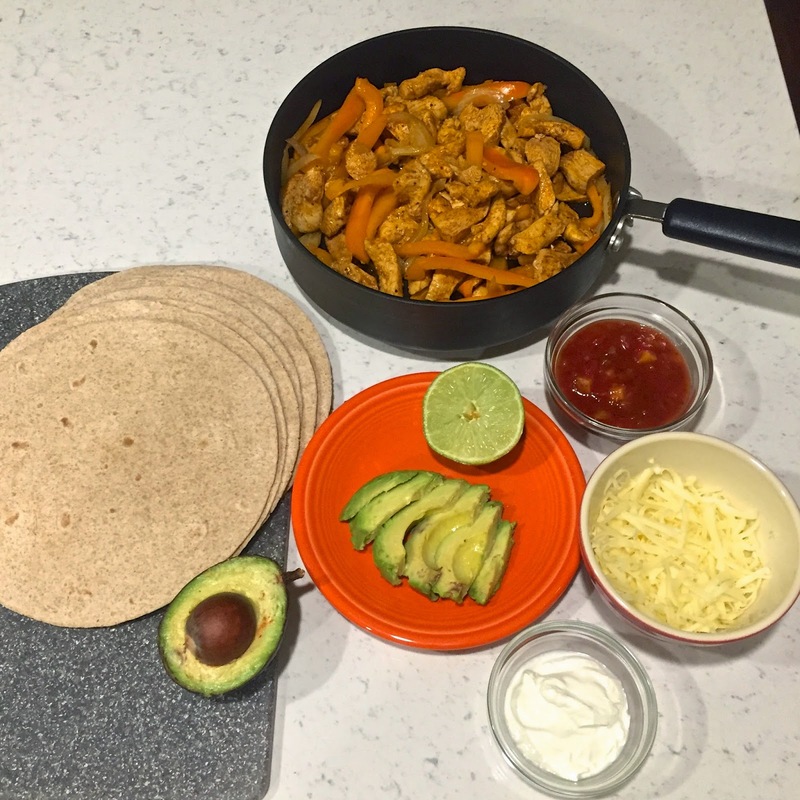 Build your fajita and enjoy! *We like to top ours with Peach/Mango/Pineapple salsa (whichever we have on hand at the time), freshly grated cheese, fresh squeezed lime, avocado and plain Greek yogurt. How do you build your fajitas? The months of March and April were a crazy whirlwind (hence the lack of posts.) Mike and I have relocated from Richmond, Virginia to central New Jersey. He took a new position with his same company and I have started a new job, still doing Marketing in the Financial industry. In an effort to clean up my eating, I've been meal planning since April and have some yummy recipes coming your way. 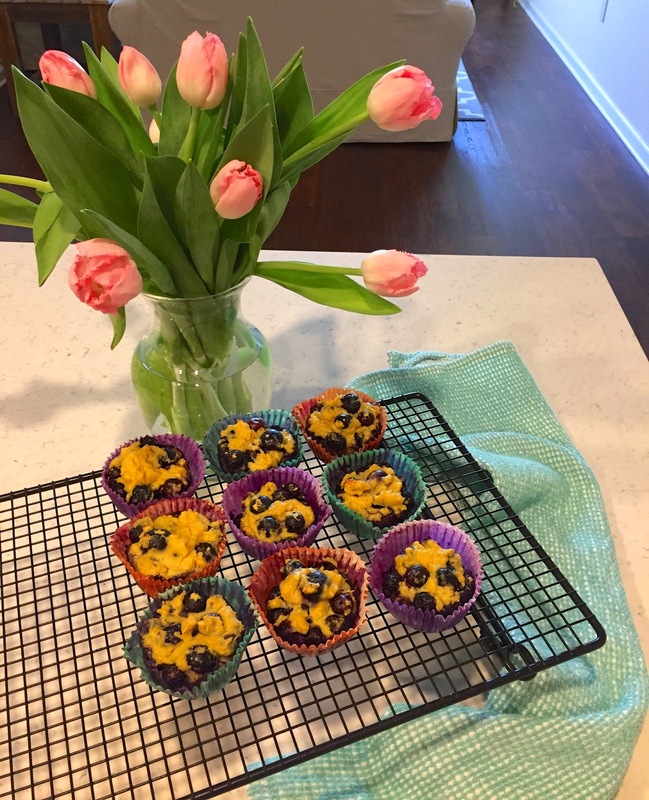 The first one is Blueberry Zest Muffins, adapted from Tone It Up. These are gluten free, clean and one serving equals 1-2 muffins, depending on size. Enjoy these for breakfast, as a snack, or post-workout! Whisk together eggs, coconut oil, lemon juice, lemon zest and almond milk. 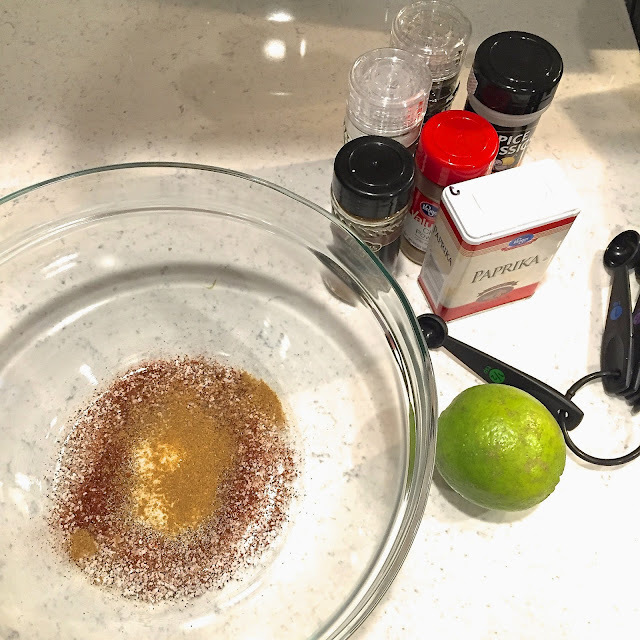 In a separate bowl, combine protein powder, coconut flour, baking powder, and salt; mix thoroughly. Next, combine dry ingredients into the wet batter and mix well until there are no lumps. 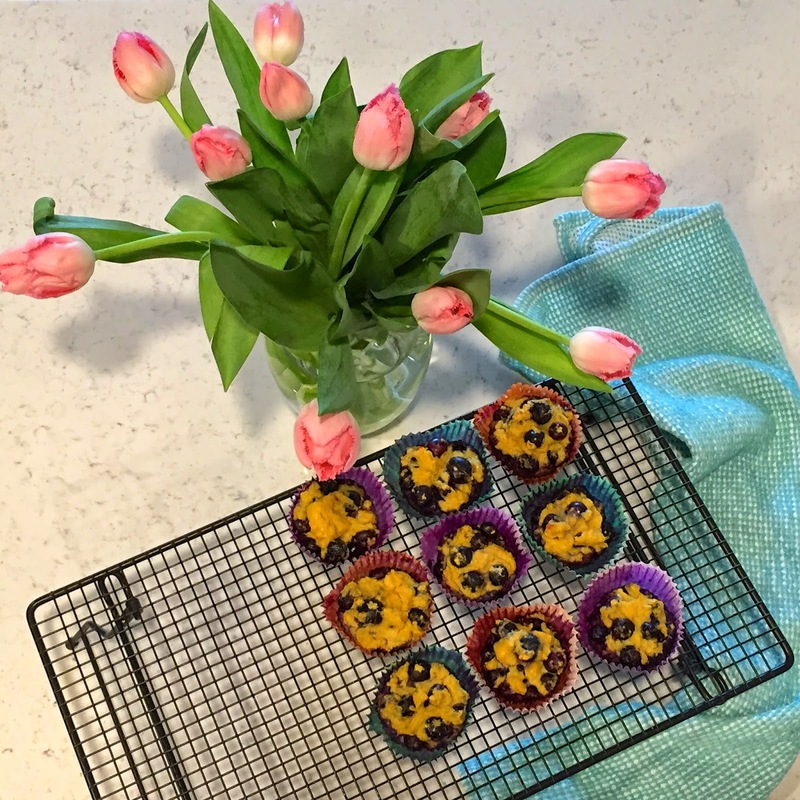 Fold blueberries into batter and spoon into muffin tins. Bake for 18-20 minutes or until a toothpick comes out clean. Enjoy! !